These resources have a cost. There are some things we just can’t get for free. I think these things are of value or I wouldn’t share them with you. Even though this has a higher cost, I think the long-term impact it can have on your teen’s trajectory is worth it. I’ve gotten the lowest-cost possible for you guys. You won’t find it offered anywhere else for less. Here’s my interview with David Dvorkin, founder of Hire Cause. If you want your children to do well by doing good and grow their skill sets through giving back to their community, then I recommend they apply to the Hire Cause program here. This career prep program is refreshingly unique and powerful. Financial scholarships are also available. Special Note: They will always have a scholarship offering for those who can show need, and EP will always have some sort of discount. For under $200, you get a college course along with all materials. In this way, it’s cheaper than community college, even with discounts for high schoolers. It’s in some ways like EP, just not as fun. It’s online readings, videos, quizlets. You go through the online course at your own pace over four months. At the end you take a test and get approved for ACE credit if you get just 50% on the test. You can even retake the test. Our experience is that it’s basically full-proof to get the credit if you put any effort into the course. My 11th grader did his course in a month. My 8th grader took the full four months. They had no trouble with the final. The one older son knew every answer and finished in minutes! The final is taken AT HOME! They were proctored online. This is basically teaching to the test, which isn’t what you want if you are seeking a career that’s really based on a college education. If you are looking for quick, easy, cheap college credit, this is a great way to go. It’s not a college. It just gives you credit, like taking a CLEP test. They list on their site the colleges that guarantee that they accept these credits, though some may only accept certain courses. For the same price as Ed4Credit you get just ONE MONTH instead of four months to complete a course and take the test for credit (ACE credit). It can be done. My 17-year-old had no trouble doing that. My 13-year-old couldn’t’ do it. The lessons on this site are based on videos and follow-up quizzes. There are placement tests that are supposed to show you what you already know so you can skip some lessons. One benefit of these ACE credits is that you get to take the final exam at home! It is proctored online. There is another option with Study.com. They have CLEP prep materials. You then take the test elsewhere when you are done. This is much cheaper. We have an Easy Peasy discount for just the first three months, so cancel after that and sign up again! 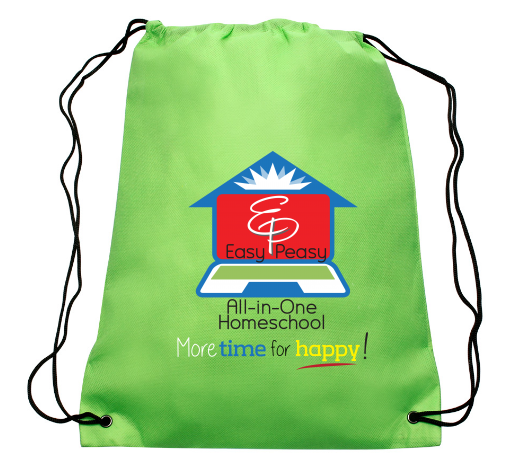 Our coupon code is All-In-One-Homeschool. It’s good on the CLEP and DSST membership of $60 a month and is good for 20% off. (so $48 a month). The CLEP test itself may cost $85 to take. This is the cheaper option. One course of action to consider: at the end of each high school year, buy a membership and focus full time on studying for these tests, using the placement test to just study what you need to and taking the tests for each core high school courses you took, hopefully preparing for them all and taking them within a month or two. This would involve cramming, but would be the cheapest course of action. Each summer you could pay around $450 total for 12 college credits. *Study.com and Ed4Credit each gave my children a free course to try. Ed4Credit gave me an affiliate link as well.